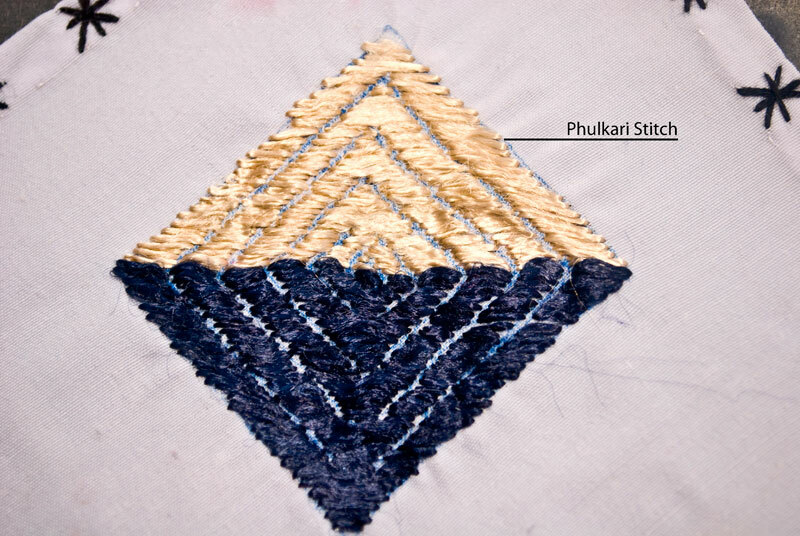 Phulkari derives its richness from the use of darn stitch in different directions (horizontal, vertical, and diagonal). 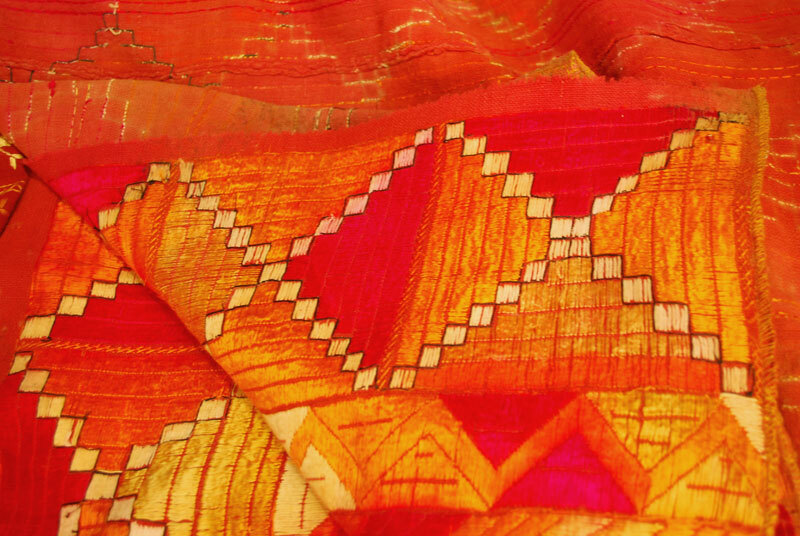 Unlike others, embroidery on Phulkari was done from the wrong side of the khaddar with a floss silk thread called pat. 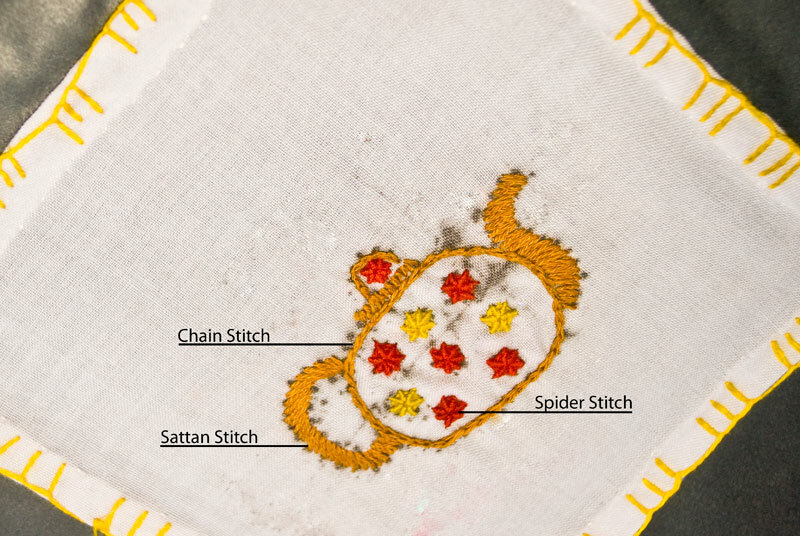 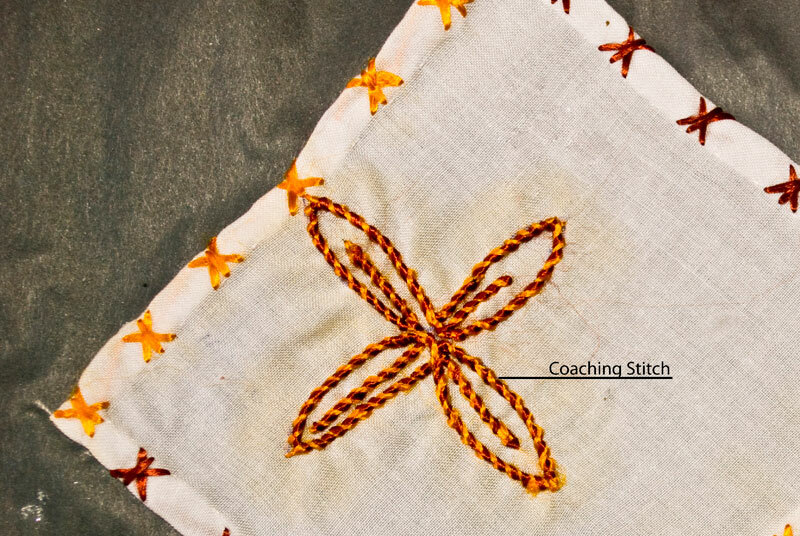 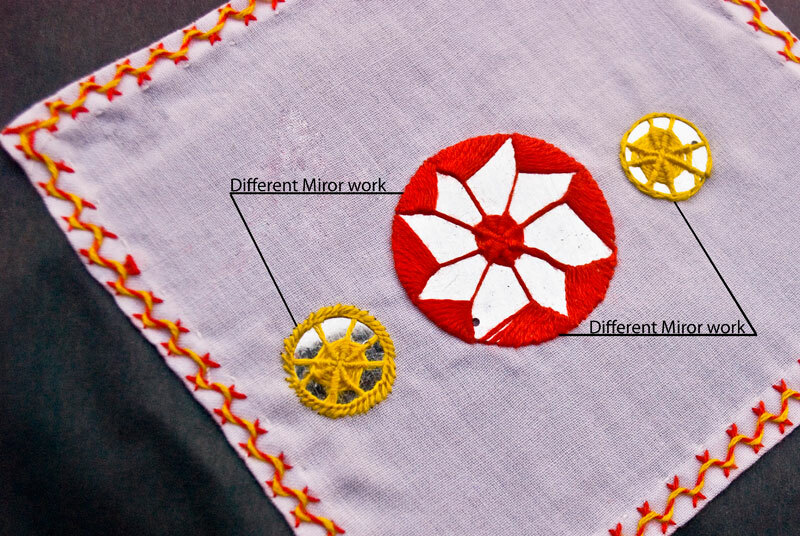 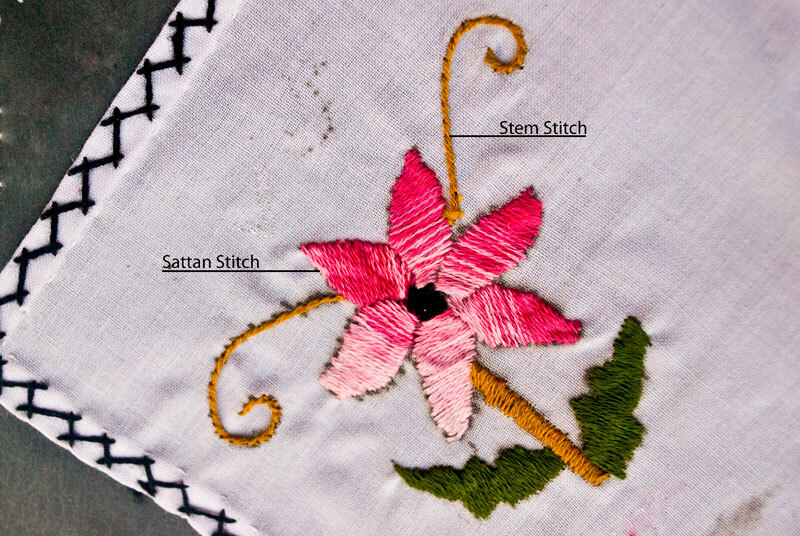 Darning stitch was the most commonly used technique to make Phulkari and the quality of a piece could be measured according to size of the stitch. 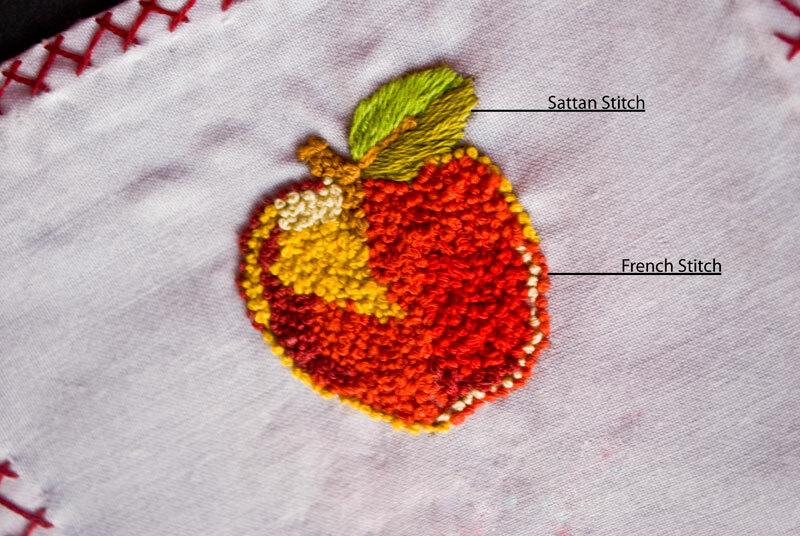 The smaller the stitch, the finest was the piece. 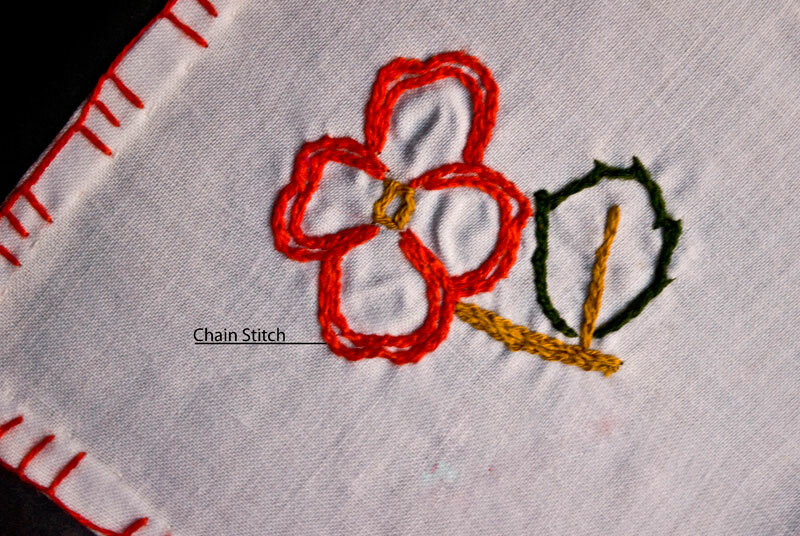 Only a single strand was used at a time, where each part was worked in one colour. 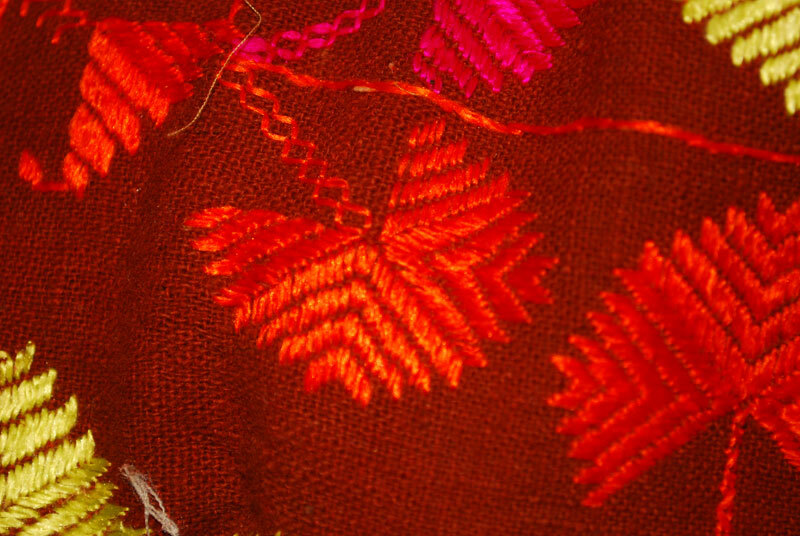 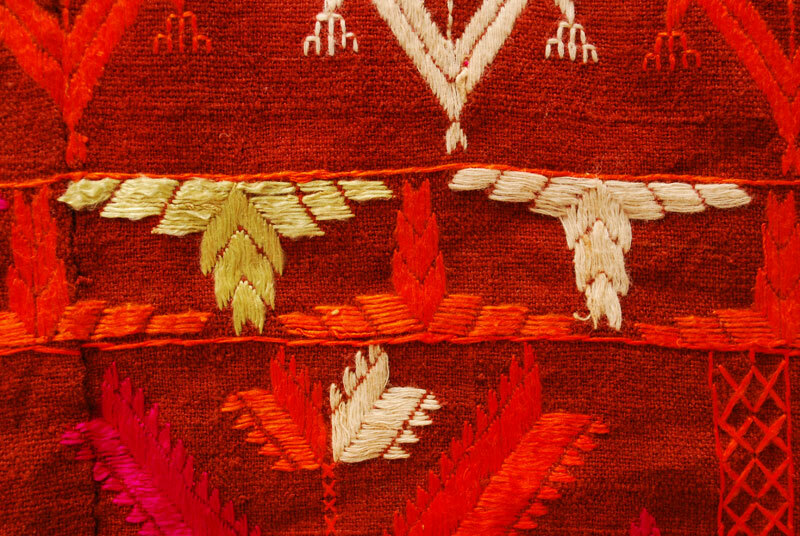 What was more interesting was that the shading and variation were not done by using various colours instead; one colour thread was used in a horizontal, vertical or diagonal stitch which resulted in giving an illusion of more than one shade when light fell on it or when viewed from different angles. 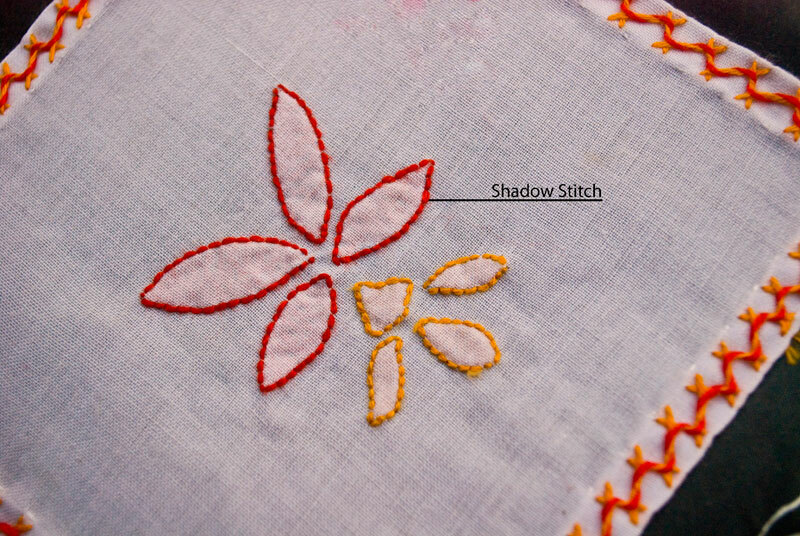 Earlier the patterns to be embroidered were not drawn on the fabric beforehand; the embroiderer with utter care would count each thread of the khaddar to build her designs. 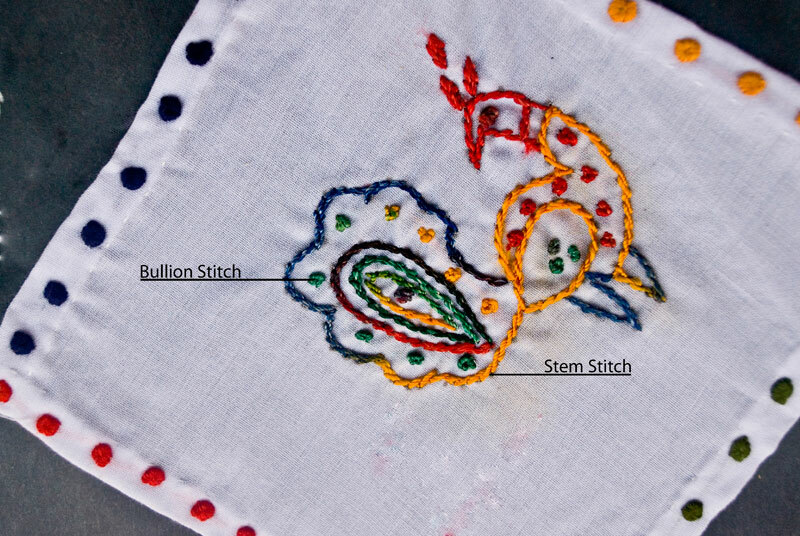 This was because even a shift of one thread in the counting would have a visible impact on the final result. 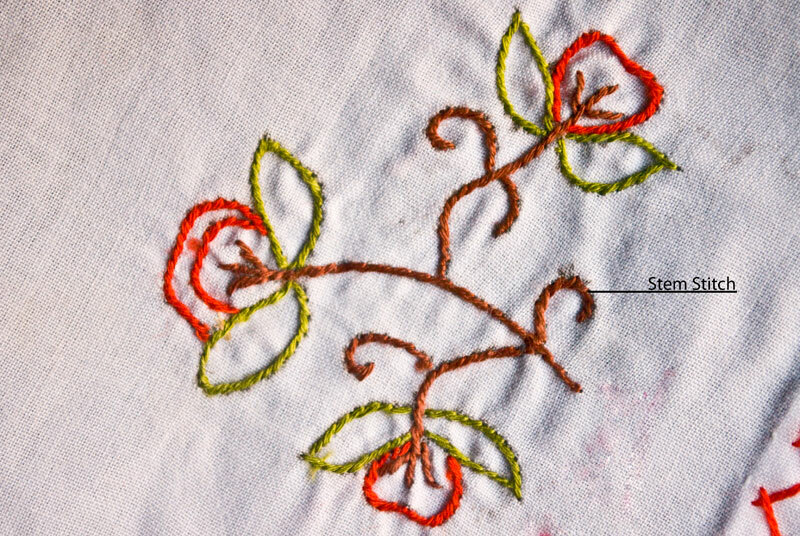 As it was easier to count the threads of a light coloured khaddar than of a dark one, it happened that sometimes the fabric was dyed only after the embroidery work was achieved. 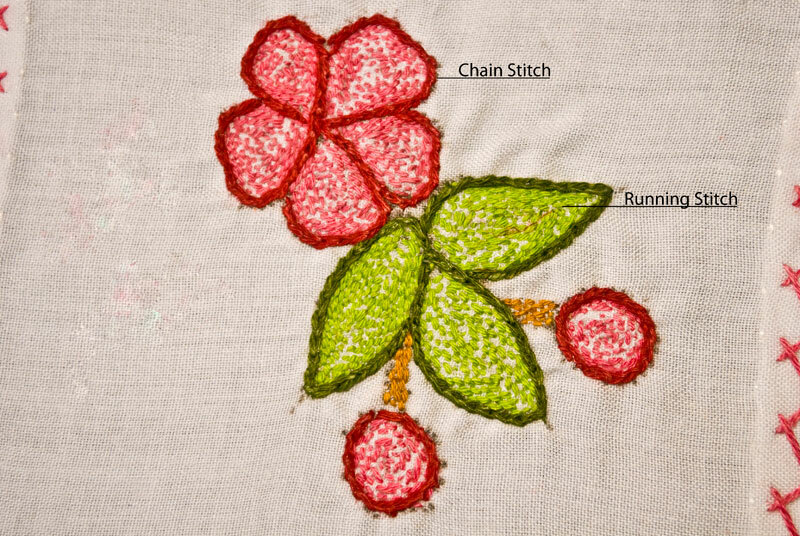 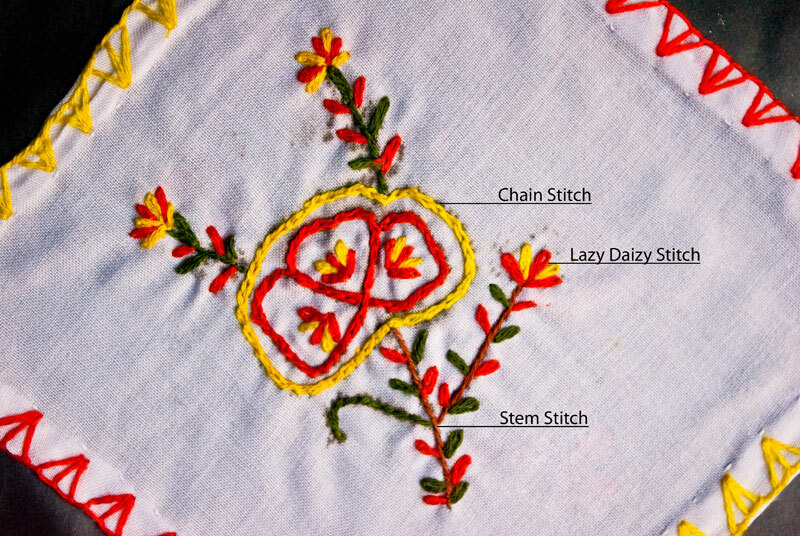 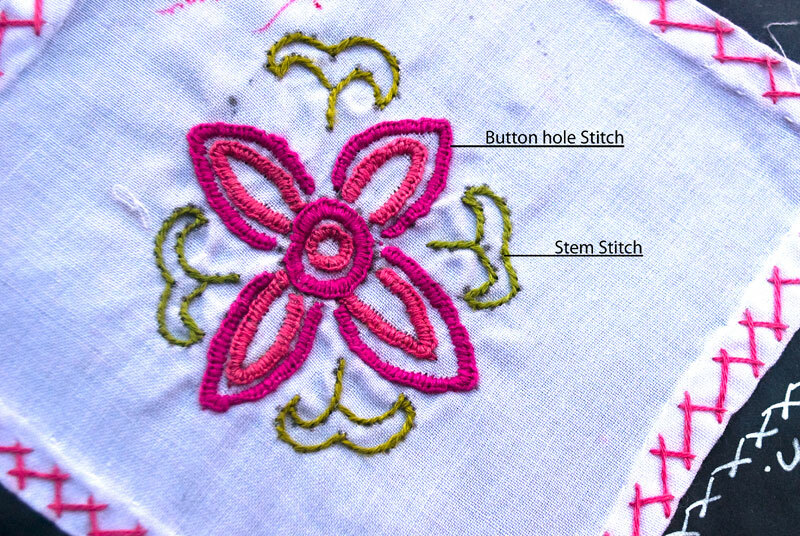 In order to create an unusual design or to border the khaddar, some other stitches like the herringbone stitch, running stitch, Holbein stitch or button hole stitch were occasionally used. 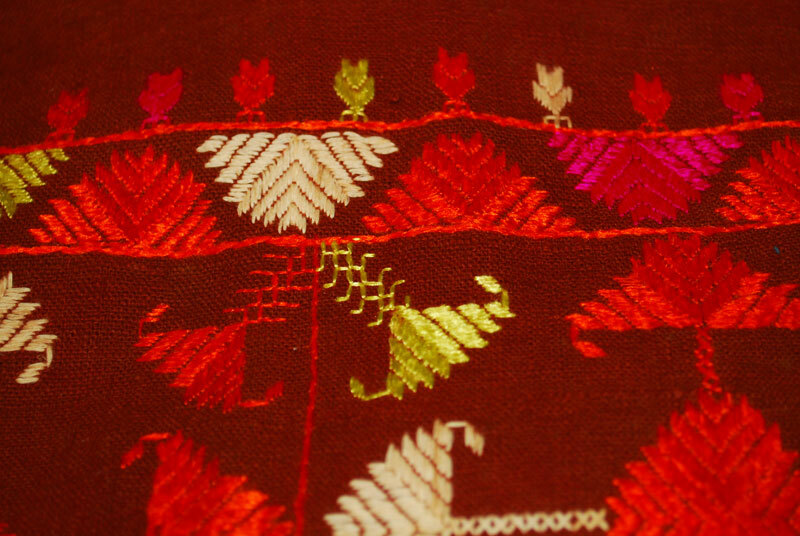 Nowadays even French knot work, Stem stitch, Mirror work and as many as 12+ other embroideries are passed off as Phulkari.